I remember us having some SEC title banners, etc. at Sarge Frye but for some reason there had never been any recognition of our history at Founders except for CWS appearances. It's about damn time. Glad Kingston pushed for this to happen. Should've been done a long time ago. 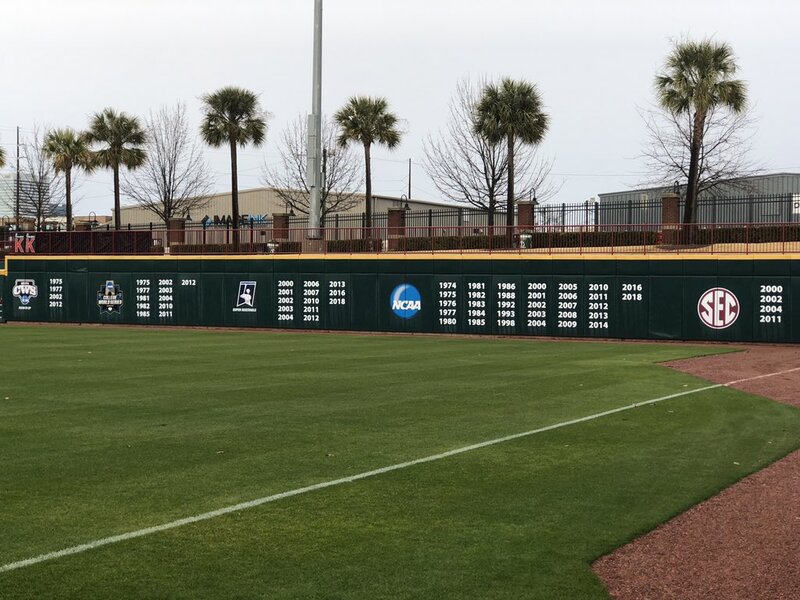 Meanwhile in clemson, the nomaha bunch still has football banners on their outfield wall. That looks awesome. I went to the scrimmage on Saturday because our company had an event at the stadium, and I can't wait for the season to start. I like Kingston and the entire staff. I think that we will be back in Omaha very soon, like next 2-3 years soon. He will bring back the consistency that Tanner had here.